Does this sound familiar? You sit in a lecture to download the script of the professor and note that it is write protected by password. It is not possible to make changes per tablet. 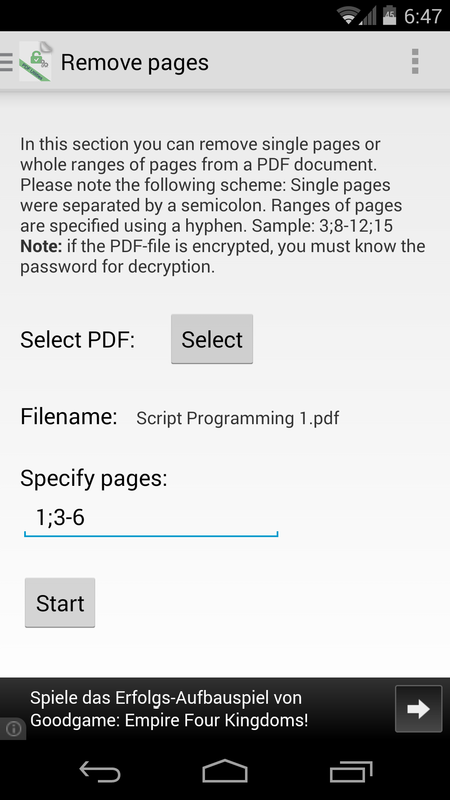 This App „PDF Utilities“ comes to rescue. 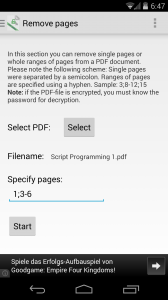 With this you can easily unlock the PDF without much effort, so that changes can be made. Another handy feature is remove pages from a PDF for simpler printing. You must not specify, which pages should be printed to exclude some pages (which is often very tedious). A new feature is adding of blank pages in an existing PDF file. This is convenient for additional notes, if the space on a page is not enough. Another Feature is automated removing of blank PDF pages. And all this without sending the PDF file to a webservice, it remains on the device. The app supports Dropbox, now. PDF-Files can be selected and processed directly out of the Cloud. New Feature: Dropbox Support. It is possible to select and process PDF-Files directly from Dropbox, now. Bug-Fixes of built-in file browser, in particular for Samsung devices. I CAN NOT FIND THE PDF FILE , WHICH should BE PROCESSED . WHAT CAN I DO ? There are several reasons why this problem occurs. One possible cause is the with with Android 4.4 introduced „security constraint“ that apps (except system apps ) can not write to an external SD card (e.g. current Samsung Galaxy devices). Therefore, the PDF file is not displayed in the internal file explorer. As a workaround, it is recommended that you move the PDF file on the internal memory. 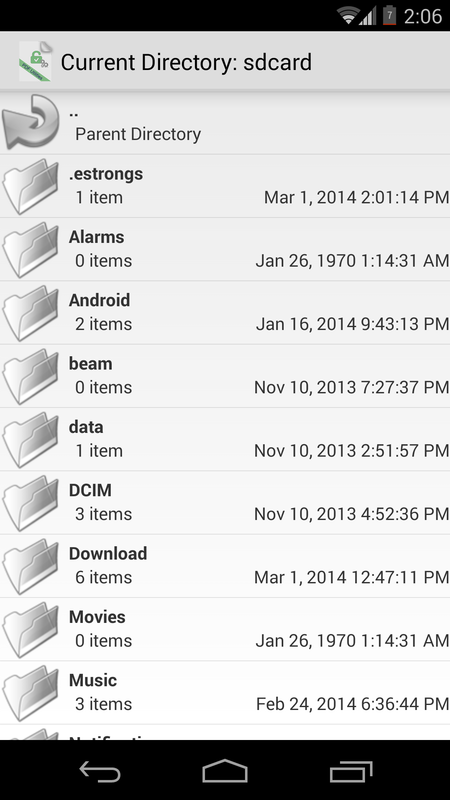 Another cause may be that due to wrong rights to certain folders, the internal file explorer can not access these. 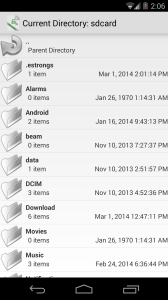 The app supports the use of external file explorer such as „ES File Explorer„. This mode can be changed in the settings of PDF Utilities. If problems occur, try this option. WHEN I want to remove the write protection of an pdf-File, I WILL BE ASKED FOR A PASSWORD THAT I DO NOT KNOW. WHAT DOES THIS MEAN? 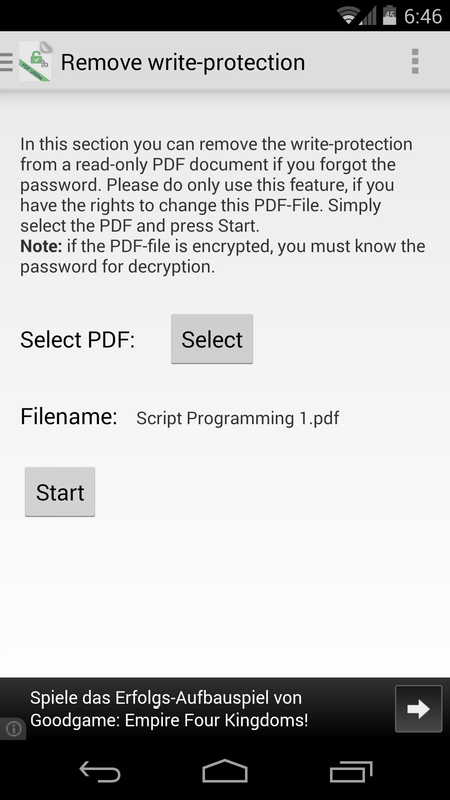 In this case, the PDF file is not only prtected with a write protection but also encrypted. In this case, the password must be known, otherwise the PDF file can not be read. If you have problems with the app, you can leave a comment here or better send an email with the error description to mdev.germany@gmail.com. Ich spreche Deutsch eine kleine bishen. Will you ever consider putting a split / merge function? Btw…. thanks for translating site to english…. could u also do that for the radio buttons below? When I look for a file in The Cloud, the only option in add a cloud account seems to be Dropbox.. I have all my files on Google Drive. Can this Cloud Account be added.? I am working on integrating GDrive. Still need some time.